5 Weekday Dinners that Your Kids Will Love - Mummy's Gone Mad! | Mummy's Gone Mad! 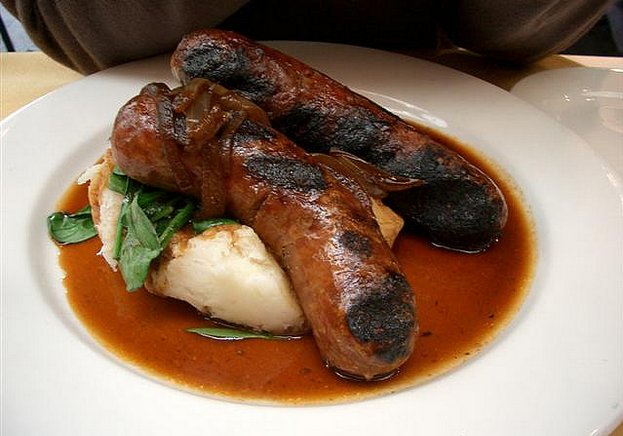 Bangers and mash is a great dinner to make the kids in the week. I find that the majority of kids love sausages, and mash potato is a real favourite. When you add tasty gravy and some nice country veg, you’ve got a nutritious, filling meal. It’s perfect for the colder days and nights too. Toad in the hole is a nice treat to have on colder days also, and the giant Yorkshire puddings always get a thumbs up in my house! It really isn’t difficult to make, and you can add as much gravy and veg as you like. You could even swap the sausages for beef if you like. Fish and chips is a favourite meal of the nation, but it isn’t all that healthy. This is why healthy fish and chips is a great weekday alternative. Simply choose a fillet of your favourite fish, and make some sweet potato fries to go with it. It’s literally a simple oven job that shouldn’t take more than 30 minutes. You can add whatever topping/sauce you like to the fish, and any veggies you want. Tuna pasta bake is filling and delicious. You can make it to your kids own personal preferences; they might like lots of cheese, for example. Just make sure you pay attention to portion sizes and make sure you choose the healthiest options for them. For example, whole grain pasta is much better than white pasta. They won’t taste the difference though; it’s still a delicious dish to have! Add lots of peas and sweetcorn too. Roast chicken doesn’t need to be difficult to cook, especially with the many cooking aids available in supermarkets these days. There are kits you can buy that allow you to throw your chicken into a bag with some spices and then chuck in the oven until cooked. However, if you really want this to be a simple meal, you could always purchase a ready cooked chicken from Tesco and add your own vegetables. The above meals are all perfect for families who enjoy comforting food when the weather starts to cool down. Providing you use the best ingredients to cook with, such as olive oil, your meals will be healthy and nutritious. Have treats in moderation and your family will be healthy and happy!